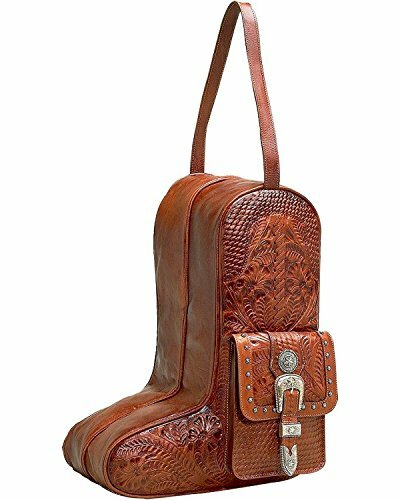 There is not better way to travel with your boots than securely stored in our beautifully hand tooled leather American West boot bag. This boot bag features a zip-around top with a front pouch that snaps shut. Individual zip compartment for each boot. Easy carrying strap at top. Boot bag measures 13" x 17" x 18". Imported.